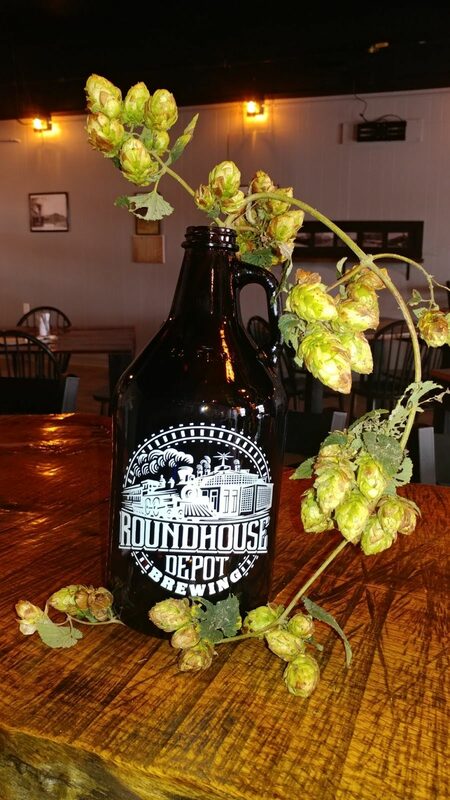 Roundhouse Depot Brewing was an inevitability like death or taxes. 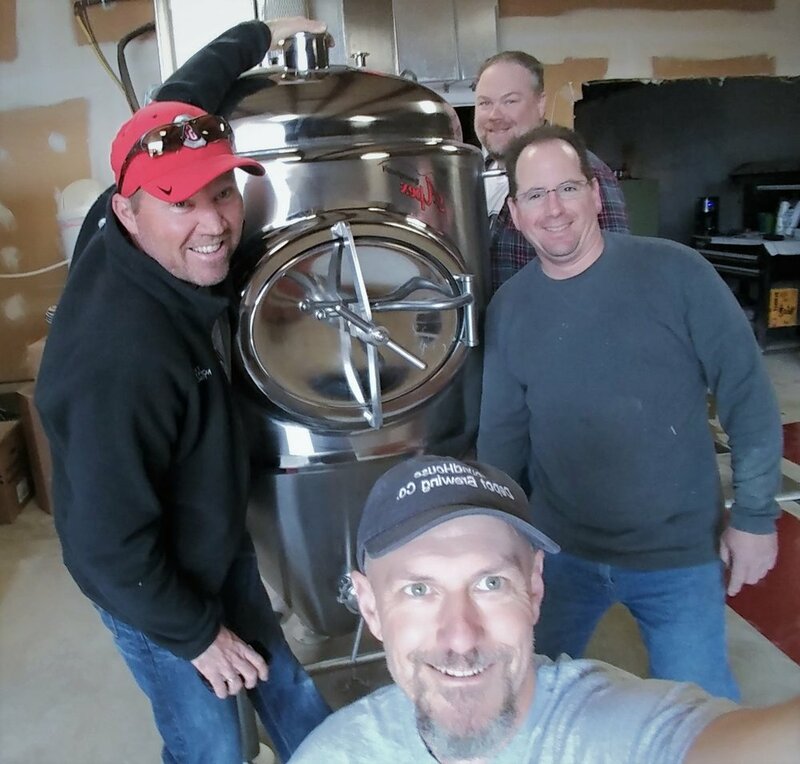 When you are as passionate about beer, brewing, and community as husband and wife team Ron and Kathy Troyer then nothing can stop you from achieving your dreams. 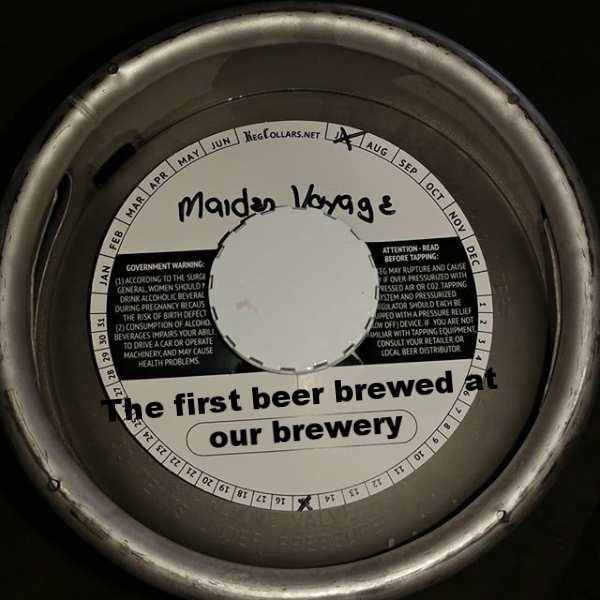 After spending countless hours driving from state to state trying various beers all over the Midwest and having been home-brewing for years they knew it was time to go pro. And it was that spark of passion that brought RDBC to fruition. 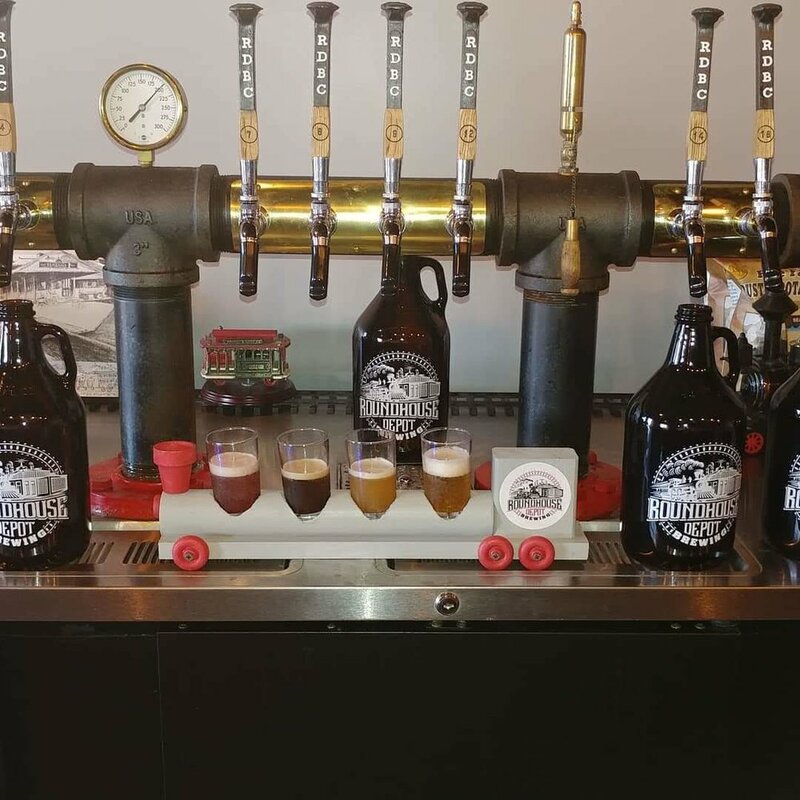 Bellefontaine was put on the map by the railroad in the 1800's. 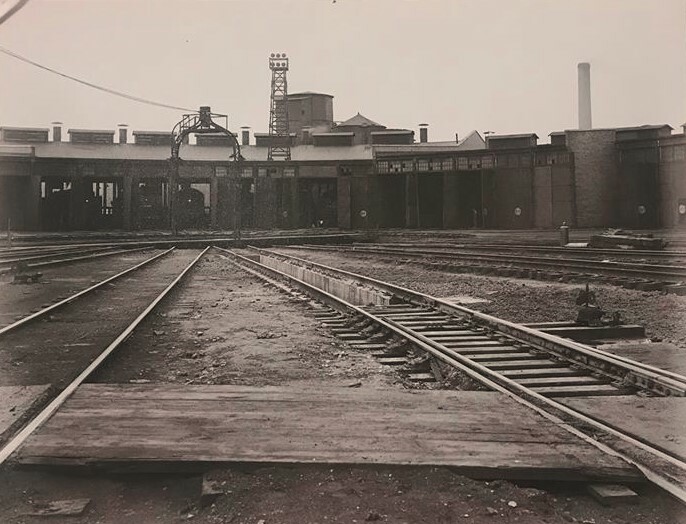 Benefiting from it's location between major cities like Cleveland, Cincinnati, New York, and St. Louis the Big Four Railroad company decided to make it's main hub in Bellefontaine. 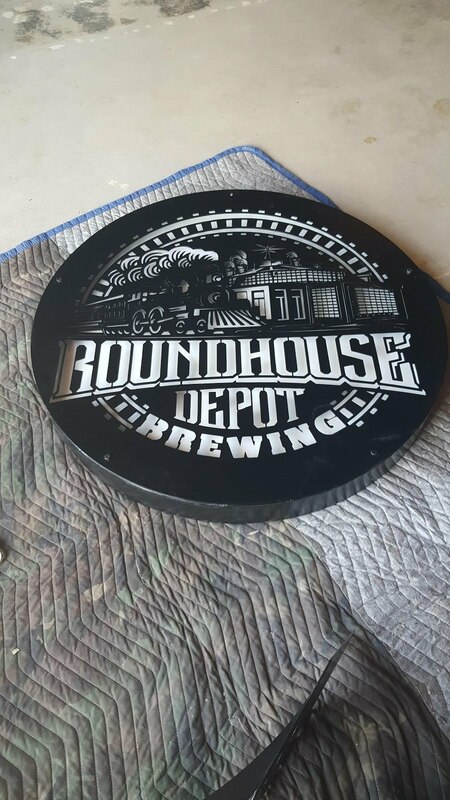 It was here then on Chillicothe Ave. that their Roundhouse and Depot were built and where our brewery now sits. Their investment in Logan county amplified our position as a rail powerhouse. For almost 100 years the railroad was very prosperous here and much of the town was employed or was benefited by the railroad. This all started to come apart when on Sept. 2nd, 1943 the Roundhouse suffered a catastrophic fire. The final nail in the coffin for the rail industry in Logan county came on Sept. 20th, 1946 when the Big Four's Depot caught fire and was completely leveled. These tragedies left a big impact on the community of Bellefontaine. The railroad never really regained from this loss. But it isn't the tragedy that inspires us so much as the memory of that railroad culture that fueled this community for so many years. 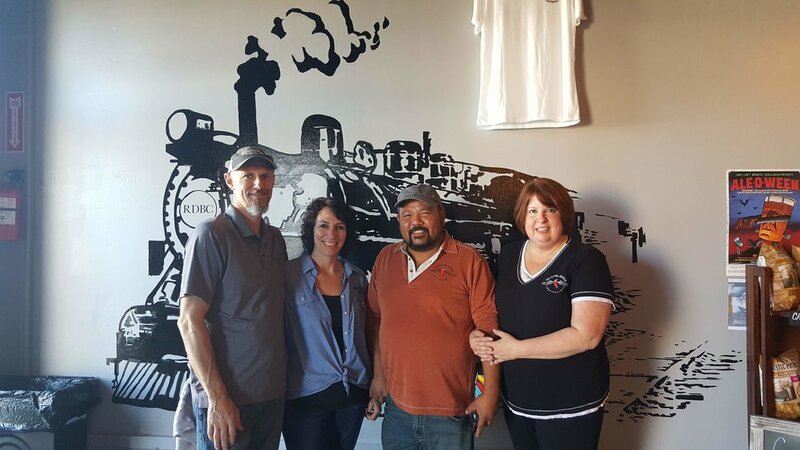 Here at RDBC we want to remember and honor the heritage of the railroad by providing a space where folks can reminisce on our history while sharing a great beer. 1. 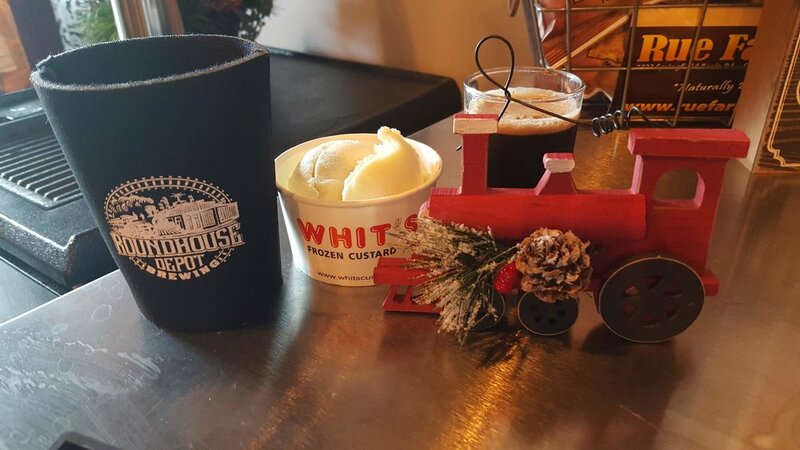 Here at Roundhouse Depot Brewing we are really a family. 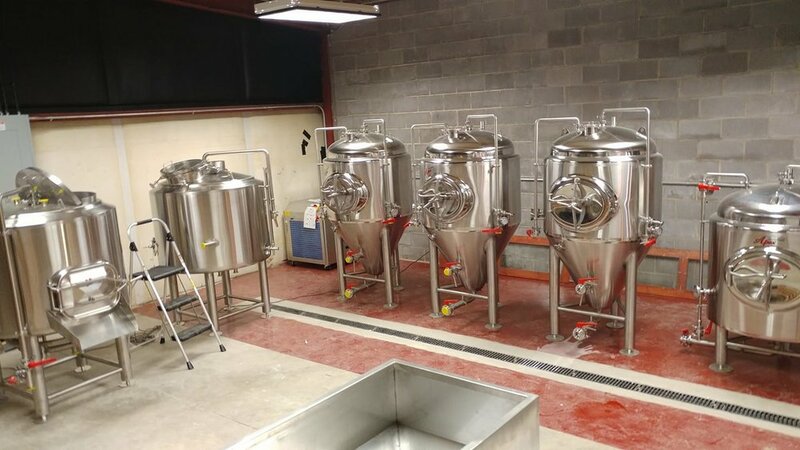 We are a husband and wife team, two of our flagship beers are named after our kids (Tony's Twisted, and Nati J. IPA respectively), and thus it was family that brought our brewery to fruition. So with that in mind we want you to come and be a part of our family when you visit RDBC. This is a friendly and comfortable space for families and friends. 2. We want to honor this community and it's heritage. That's why we are paying homage with our branding, theme, and decor. This is a great space to reminisce about the rich history of the railroad in Logan county. We are continually inspired by the revitalization that downtown has seen and we are very excited to be contributing to that revitalization.